ISLAMABAD – China has asked Pakistan to undertake massive legal reforms immediately if it wants timely completion of projects under the China-Pakistan Economic Corridor. The Chinese reservations were communicated to Pakistani parliamentarians during an in-camera briefing by the newly appointed Chinese ambassador to Pakistan, Yao Jing, a key official revealed. The ambassador during the 26th meeting of the Parliamentary Committee on CPEC discussed Chinese perspective and the future role, he said. He said that it was communicated that Chinese were asking for one-window operationfor all procedures, similar to Jebel Ali free zone in Dubai, where all permissions related to starting any new project can be obtained in one-week time, he said. The official said that litigation was another reason Chinese were worried about in the port city. “Undue stays delay projects and increase costs, which Chinese are not willing to pay,” the official said. “It took one-year for the Chinese company to get an environmental assessment report of one project, and with this pace, anyone will get annoyed,” a source said. He said that Chinese were primarily concerned about the Gwadar port, and the network to connect it with Khunjerab Pass. “Chinese benefit in power and other infrastructure projects is very nominal,” he said. This is not the first time that concerns have been raised from the Chinese side. According to the source, the demand was also stressed last year at a high-level meeting with Pakistani counterparts in Islamabad. 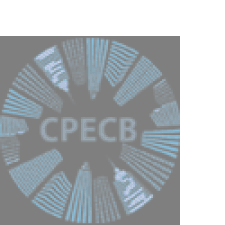 At an another event in Beijing, China asked the visiting Pakistani delegations to cut down long bureaucratic procedures which were hindering the projects in Gwadar, the source said. He said that Chinese were very happy with the Punjab government which not only gave them instant approvals but also helped them in getting lucrative tariffs for power projects through NEPRA. He said that Chinese expected similar cooperation in the port city. Chinese state-owned media has already been reporting Chinese concerns regarding the CPEC. “Conflict between federal and local authorities, clash of interests between different provinces and partisan infighting have affected the construction of the CPEC”, said an article published in the state-owned Chinese daily Global Times on January 14 under the title, “Reform needed to boost construction of China-Pakistan Economic Corridor”. It advised Pakistan to carry out massive reforms. It complained that the Pakistani media was not playing its role in highlighting the corridor related issues. The writer, a high-level management official, asked Pakistan to do more. “Pakistan needs to carry out deep reforms in several areas, amend laws and frame corresponding policies, it said, adding Pakistani government needs to free its mind. It should recognize that industrial growth has its own laws,” it said. It further said that the constitutional amendment and law changes can only be achieved through political negotiations. However, the country was not fully prepared for it. Is it a real concern or just a do more demand from a friendly neighbouring investor to boost the pace of work, no one from the government was willing to comment. Parliamentarians refused to say anything on the matter stating it was a sensitive matter and they do not want to jeopardize their relations with the generous neighbouring country. Ministry of planning officials sought time to get back with a detailed reply. However, after continuous reminders for over a week, the officials did not come up with their version.